Tandem skydiving allows guests ages 18 to 65 the chance to experience 60 seconds of freefall when exiting at an altitude of 14,000 feet. 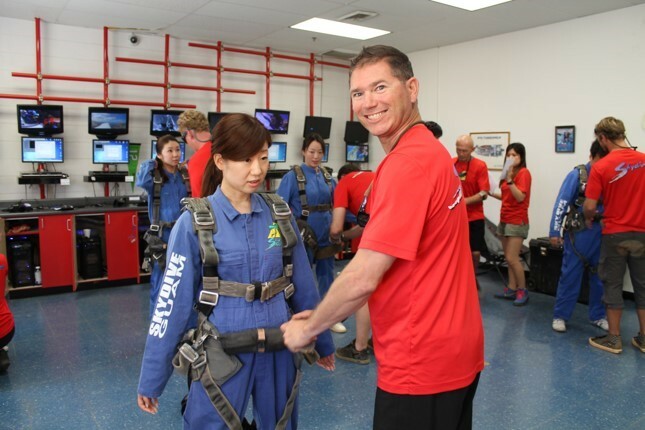 You will share a tandem skydiving harness with a professional Tandem Instructors who will show you why birds fly! 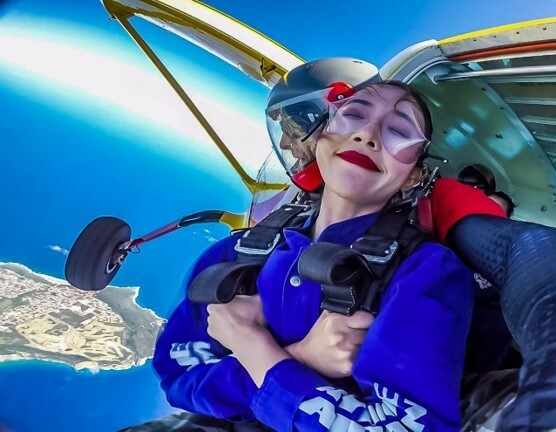 Want to learn about tandem skydiving for the first time? 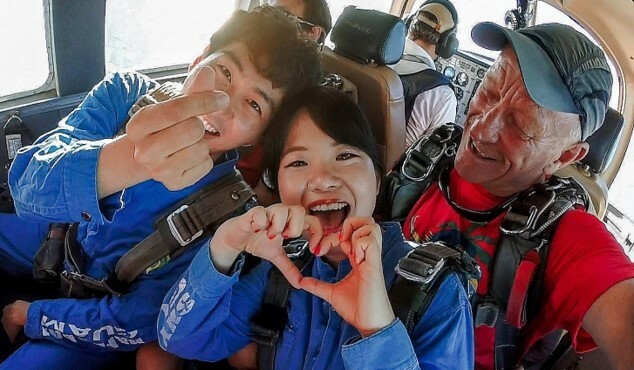 Read on to hopefully answer any question you have and get you excited to try tandem skydiving! Please plan to wear comfortable clothing and athletic shoes (no open toes). You will also be asked to wear a jumpsuit and goggles to keep your eyes and clothes protected. After being harnessed to your Tandem Instructor, the plane will take off! Sit back, relax, enjoy stunning views from high above the ground! 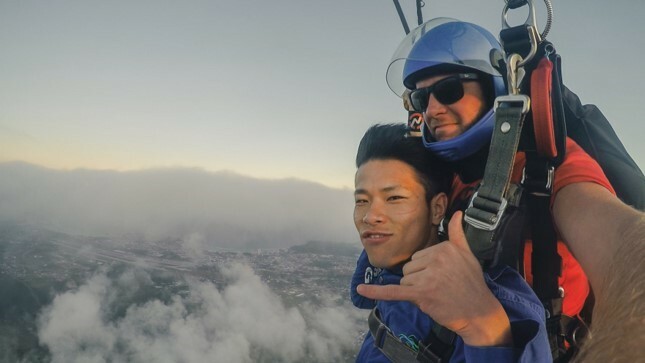 At approximately 5,500 feet, your instructor will deploy the main parachute allowing you to take in the surrounding views with approximately five minutes of peaceful flying. You will land at the Drop Zone. Don’t worry! Your feet will be lifted as you land, and your tandem jumpmaster will make sure you land as nice and smoothly as possible. After a ride in the van back to the office, you will receive a completion certificate from your instructor. Congrats on your first skydiving lesson! Ready to begin your adventure? 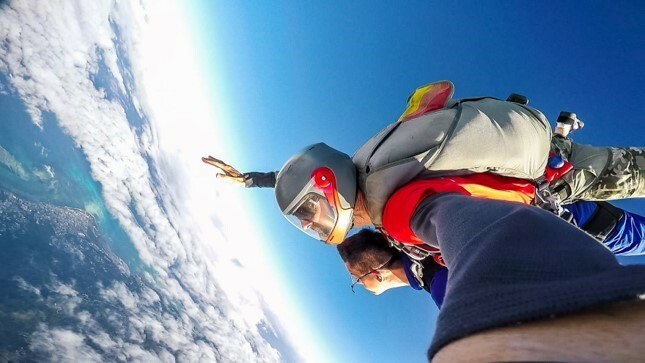 Give Skydive Guam a call today at (670) 475-5555 to book your tandem skydive. Or visit us on the web at skydive-international.com!